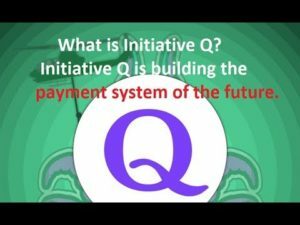 What in the world is Initiative Q? It is a new form of commerce, a digital currency. Why does this interest Technocracy? Because, even though it is still a currency, it is a beginning toward a new form of exchange that does not depend on a valuation of what the media has successfully manipulated us into buying. It is set up to have a steady valuation, minimal inflation, thereby stabilizing economies. It is set up so that banks (institutions) are not needed to transfer currency so this form of exchange will work in Third World Countries as well as First World. The exchanges can be traced back to the originator so the change of deception and fraud are minimalized. There are of course problems, as with any new idea it needs to be in use for a while to find the bugs and work them out. One of these issues is that it uses your phone as an identification. What happens if someone steals your phone, or your friend/child/ex-spouse “borrows” to purchase something. 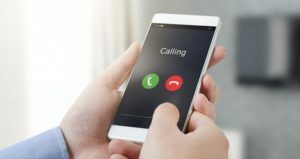 If your phone is compromised their solution is to call the friend that got you into the organization to verify that the purchase is legitimate. To me, that is a horrible idea, calling my neighbor whom I speak to very rarely, but was kind enough to get me into the Initiative Q organization, now knows that I want to purchase a new television, (or whatever item/service I am purchasing). That is not an anonymous invasion of privacy like credit cards are; but is a very personal invasion of privacy. If I wanted to inform my neighbor / friend of any purchases I would do it myself. One of the things that I like about it is that your statements would not be generic line in a credit card statement i.e. HSBox42 $12.37 2018-09-05. No, these would be detailed lists of what, where and when you purchased. For me, that is a bonus. Many people use their credit cards for everything and sometimes can’t remember which $15.00 purchase was for what. There is much more to this project and it deserves more research. ← What some others think about Technocracy.